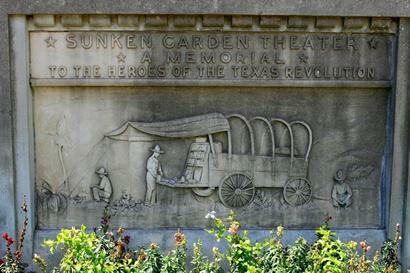 Sunken Garden Amphitheatre, San Antonio, Texas. On North St. Mary's Street between Mulberry Avenue and the Zoo. 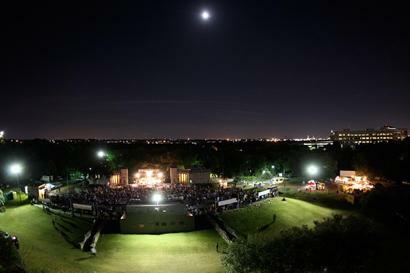 Where else but Texas can you sit in a rock quarry and enjoy comedy, Shakespearean drama and concerts ranging from jazz to hard rock? 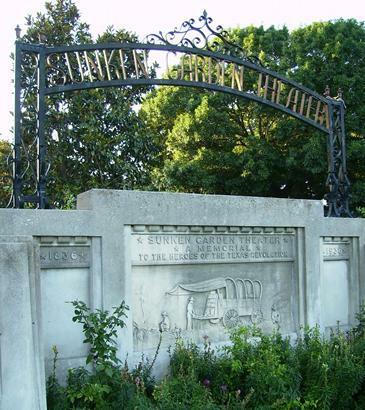 Originally a rock quarry used from 1880 until 1908, the Sunken Garden Amphitheatre is a hidden treasure next to the recently-restored Sunken Gardens. 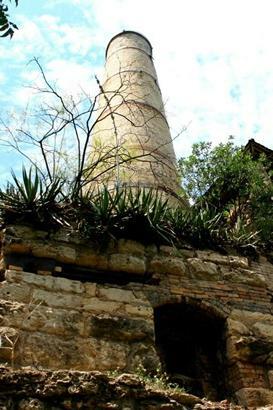 The abandoned quarry’s transformation began in 1915, when the City built a lushly landscaped lily pond named the Japanese Garden, and a huge landscape with patterns formed by rocks and flowers called the Texas Star Garden. 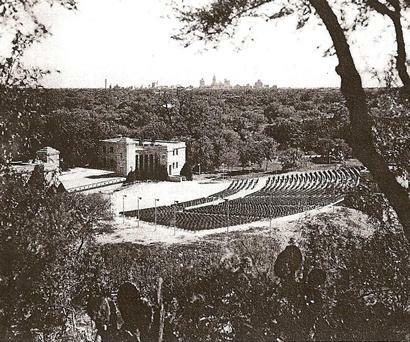 A movement was on to create an open air theatre, which was finished in 1930. 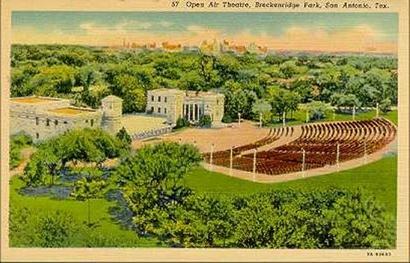 Renovations for the Texas Centennial included dressing rooms, stage improvements, roads, walks, and landscaped grounds. A concession area was built by the NYA in 1937.